• Model Approval of CNG meters and dispensers as per OIML R139, 2007. Increased concern on the environmental pollution caused by conventional auto fuels such as dicscl/petrol, Compressed Natural Gas (CNG), an environmental friendly and clean fuel is opted as an alternate fuel. Auto fuel Policy introduced during 2003 by MoPNG aims at to address the issues of vehicle emission, vehicle technology and auto fuel quality. And also it aims at optimal utilization of oil & gas infrastructure. The use of CNG and LPG would be increased in pollution effected cities. CNG Vehicles are in use in major states in Maharashtra, Gujarat, Delhi, Andhrapradesh, Bengal, UP, MP etc. In recent future, it is likely that most Southern cities will also go on CNG. GAIL (India) Ltd is planning to expand its CNG distribution network to 46 cities in the country to meet the automobile industry demand. CNG is dispensed using specialized dispensing equipment to the vehicle. Domestic Natural Gas consumption is about 100 mmscmd of which Auto and Industrial consumption stands at about 20%. To augment the gas supply position, LNG re-gasification capacity is to be enhancing to 25mtpa by 2010. Deposits of Coal Bed Methane (CBM) that could yield 1.2 trillion m3 of gas and Methane Gas Hydrates that can produce 7.5 trillion m3 of gas in about 80000 km2 areas have been found in India. In the Automobile sector, there is a continuous growth of CNG stations totaling more than 600 catering to about 700000 vehicles. Indian automotive sector contributes about 4% to GDP. Automotive Mission Plan (AMP) 2006-16 envisages an investment of $40 billion to help transform India into a global automobile player accounting for 10 per cent of the GDP. The cost of the fuel is charged based on mass measurements made by Coriolis mass flow meters installed in each dispenser. OIML recommendations stipulate an error of 1.5% on the dispensed quantity, which is in the range 10 – 100 kg. Small errors in CNG measurement will result in large revenue losses. For example, consider a typical fleet consisting of 30 vehicles in which individual vehicles travel 80 km per day. At an average fuel efficiency of 20 km per kg, the fleet will consume a total of 43800 kg per year. At an average price of Rs.20 per kg, the fuel cost for one year is Rs.8,76,000. An error of about 1.5% could produce a revenue loss or gain of Rs. 13140 per year for the fleet. 5% could result in an annual loss in revenue of Rs.43800. 15% could provide a revenue loss of Rs.131400. The new 250 bar facility is capable of evaluating high-pressure storage cylinder, natural gas storage tanks and testing metering technologies for high pressure compressed natural gas applications and type test dispensers. The facility consists off major components such as booster compressor, piping components, control components, storage cascades, weigh and buffer tanks and precision electronic mass comparator. Clean dry gas filled in cascades is used as test media. 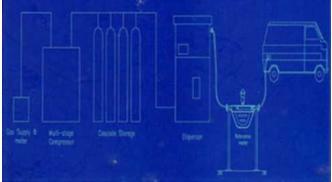 Gas drawnfrom Weigh/buffer tanks (pressure variation 180-25 bar) by booster type reciprocating compressor is compressed to the operating pressure of 250 bar and stored in cascades. The high-pressure storage system has sufficient internal volume to cater to a maximum flow rate of 4500 kg/h at 200 bar. 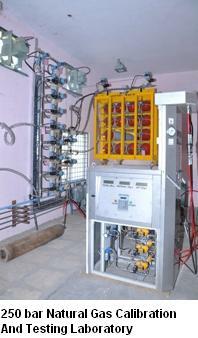 The system will ensure flexibility in discharge and adequate supply of gas to the set up. The pressure to the test loop can be regulated to the required levels. Multiple sets of pressure regulators are incorporated for maximum flexibility while testing 2-3 bank dispensers. Mass flow rates are monitored using coriolis meters connected ahead of test line. A set of 7 critical flow venturi nozzles of different capacities controls the mass flow rates. Actual mass flow rates are determined using electronic balance. Pressures are measured at upstream/downstream of nozzles and also at the inlet of the compressor. Meters up to 1 1/2″ shall be accommodated in the loop. The facility is extensively instrumented and remotely operated valves will be controlled by an online real time PC based GE Fanuc SCADA System. The facility is designed as per relevant ASME/NGV/CCOE Pressure Vessel Codes. Complete test loop is constructed using stainless steel considering the safety and extended life of the loop components eliminating the problem associated with rust and ageing effects. Before the test begins, the gas flow through the system is bypassed into buffer tank and the weighing balance along with weigh tank above is tarred. This minimizes error in final mass totals due to gas in the piping upstream from the meter. During the test, the data acquisition system records the time-based variations of the gas pressure, the mass of the gas delivered/stored. 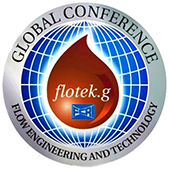 Gas flow rates can be automatically controlled to simulate vehicle-fueling scenarios as in 2/3 bank filling system. The flow is directed through the meter and into high-pressure weigh cylinders mounted on the precision balance. At the end of the test, the gas collected at weigh tank is pumped back into the storage cascades. Flow capacity evaluation of fills systems as per AGA/CGA NGV1 CNG norms. • Characteristics of temperature variation at inlet of receiving tank. Characteristics of temperature variation at the downstream of fill system. • Pressure rise characteristics of receiver tank. • To undertake the calibration of mass flow meters used in the CNG dispensers. • To carry out high Pressure calibration of Industrial Custody Transfer Gas Flow Meters such as hydrogen, Oxygen etc. 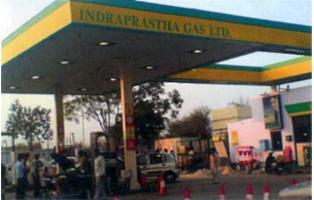 • To conduct the model approval tests on CNG dispensers as per OIML recommendations. FCRI carries out accuracy testing using the existing installation set up using master mass meter method. Accuracy test is conducted by filling 8-10 buses/autos/cars. Amount of gas filled depended on the initial pressure of the cylinder of the vehicle. The errors so determined must lie within the specified limits of the system. Master meters are calibrated at FCRI, prior to the site testing with water media for its full range and with air to confirm the gas flow accuracy Performance of the meter should be within the specified limits for both the calibrations. 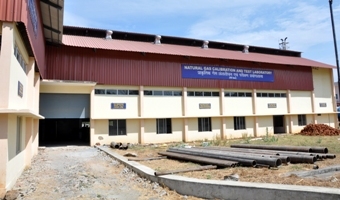 Calibrations are traceable to National Physical Laboratory, New Delhi. Plates show typical test set up for CNG dispenser. 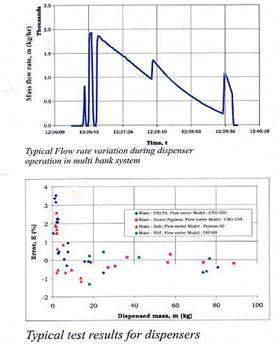 Flow rate variation during dispenser operation in multi bank system and typical test results for dispensers. Dispenser meters should retain the accuracy over the flow rate variations. At lower dispensing quantity, the error goes up to about 4% but within ±1.5 at higher flow rates. International Association for Natural Gas Vehicles (IANGV) and the European Natural Gas Vehicle Association (ENGVA) has as many as 72 different tests to bring this equipment to the market. Due to the pressures involved and the high safety precautions associated with the CNG systems, the components must be tested as per rigid testing requirements. CNG dispensers used for dispensing the fuel to the automobiles should be type approved for their performance as per OlML norms. Accuracy tests include test on the indications of measurement results (mass or price). 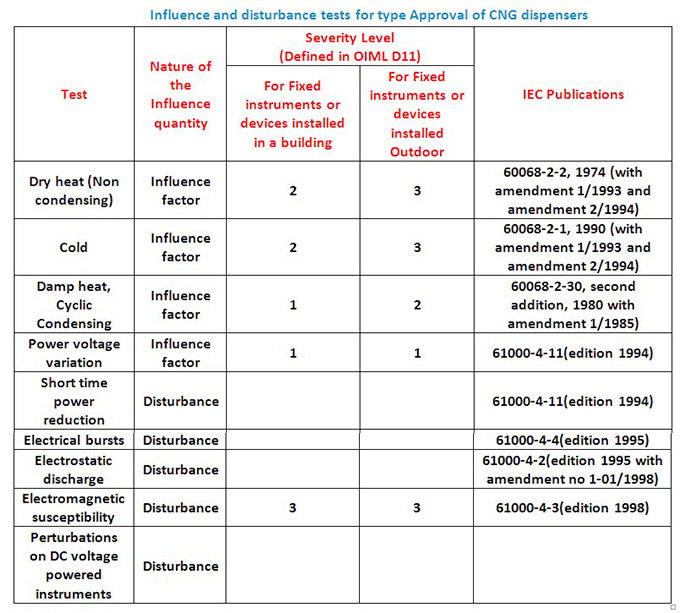 For this purpose, the error obtained on the indication of the result is calculated considering the true value is the one calculated taking into account the value of the simulated quantities applied to inputs of the calculatorAnd using standard methods for calculation.For undertaking Model Approval / Pattern Approval Testing of CNG Dispensers/Fill Systems as per the norms specified under OIML, extensive testing need to be carried out for accuracy and performance verification. The Model Approval Tests comprise of a series of tests, usually for the Meter in conjunction with its Electronic Calculator/Computing device to assess its suitability regarding accuracy and repeatability of measurements and durability of system. 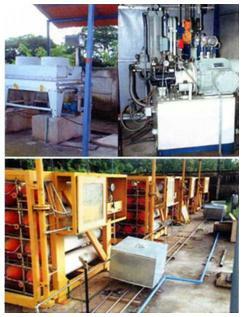 Besides these tests, that is normally earned out in the special Flow test-rig, a series of Environmental (Mechanical, Electrical/Electronic) tests are mandatory as per OIML to assess performance of the system under the Influence factors/disturbance factors prevalent / likely to prevail in the normal operating environment. Durability/Endurance tests arc routinely required to be carried out as part of Flow accuracy tests. Flow meter/Dispenser Instrumentation Units such as Flow Transmitter Modules, Flow Computers, Batch Controllers, Terminal /Custody Transfer Dispenser Electronic Registers, associated Pressure/Temperature Instrumentation, etc. are some of the modules that arc commonly required to be subjected to the Electrical/Environmental Tests.